Ventura Gloss Special, Electric Guitar from Manne. Manne has released its new Ventura Gloss Special guitar. 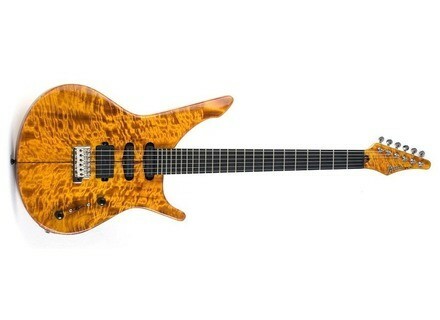 Like the models presented earlier this week, this one has a Burl Poplar top and Black Korina Body. No pricing info, but you can check out www.manne.com. Be careful, as of this writing, the site was flagged as unsafe for browsing. Taylor Parlor XXXV-P Guitar To celebrate the company's 35th Anniversary, Taylor Guitars has released the Parlor XXXV-P.
Taylor 12-Fret XXXV-TF Affectionately called the "you asked for it" guitar and constructed in limited quantities, the 12-fret XXXV-TF is designed to pair vintage acoustic concepts from yesteryear with Taylor craftsmanship. Manne Taos Satin Special Manne has released its new Taos Satin Special guitar.